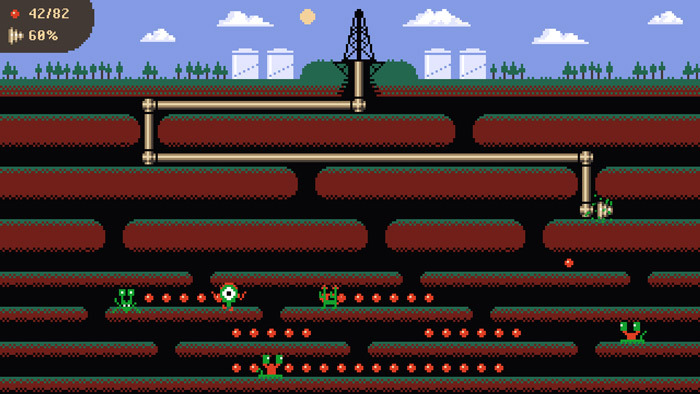 "A snake inspired puzzle game"
Driller is a very unique concept for a game although you may feel strangely familiar with the game play, you play as a drill mining for coins and must make your way through symmetrical paths collecting the coins, however there is monster down in the mines which you can kill with the drill at the front of your tube, but if you leave your piping exposed the monsters can deplete your health which unless you get back to and kill quick enough will lead to a game over. 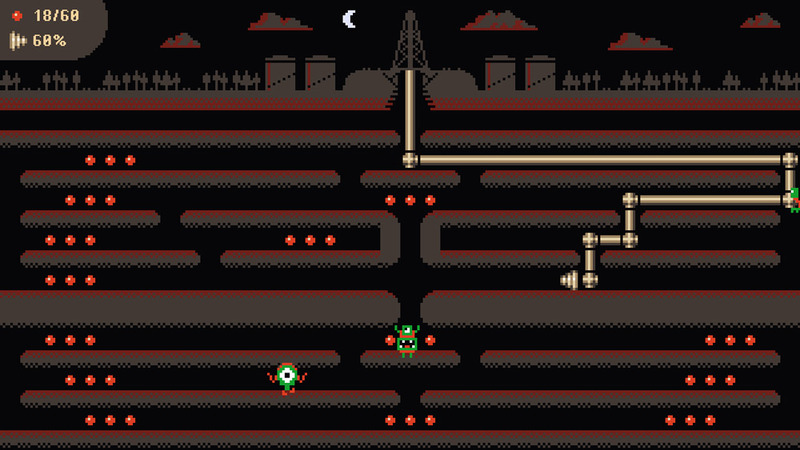 The game has simple yet fun graphics and the game play is incredibly addictive, but it is also very challenging especially maneuvering the drill down between layers of earth and when you have to retreat quick to fend off enemies that can pop out from any part of the side you may find yourself getting frustrated when you get trapped trying to pull off a quick turn. 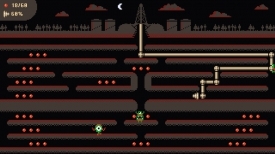 The game plays very similar to that of Snake or its predecessor Worm which is no bad thing but has adds an interesting and unique element to the game play and the monsters look pretty cute and great too. 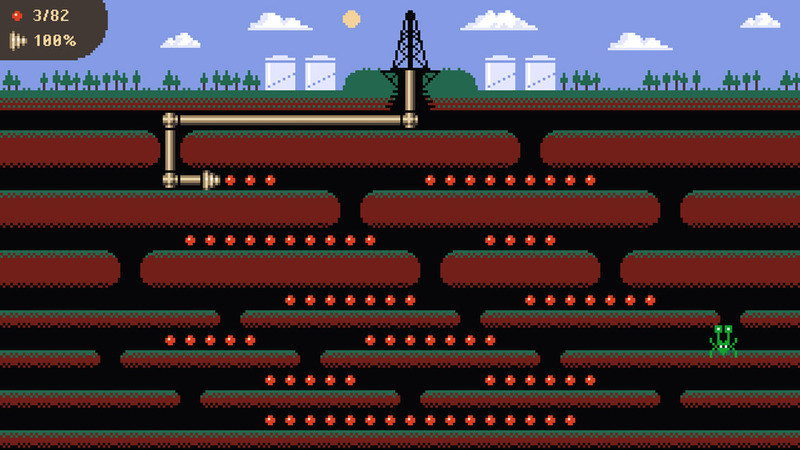 You can download Driller here for free.